These two artists are a unique combination. 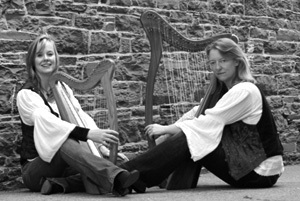 They have a deep love for many different styles of music, from traditional Celtic folk songs to jazz and classical, and have been inspired by the harp to write original pieces, combing these styles. Together they interweave voices and harps in a dynamic interaction that is both spirited and moving. Whether performing alone or with other instruments such as cello, bass and percussion, Ardyth & Jennifer draw their audiences into an intimate musical journey that promises to awaken the listener to a new sound from an ancient instrument. Beer for Iguana are four loud and proud Maritimers whose high energy shows never fail at keeping the dance floor packed all night long. Always ready to have a 'SOCIABLE!!!!!!' moment with the crowd, Beer for Iguana brings you both yesterday's and today's most infectious music. Whether you love maritime music, rock'n roll, classic rock, or today's chart toppers, Beer for Iguana are a band of good time enthusiasts you simply won't want to miss. So grab a beer, hit the dance floor, and belt out some tunes with the boys from Beer for Iguana! If you’re hungry for great musical entertainment then Big Fish is definitely the catch of the day. 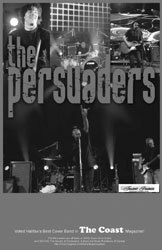 This lively band, noted for their strong four part harmonies and expansive set list of all your favorites, has been performing their unique show for over 20 years throughout the Maritimes and Ontario. Audiences of all ages have been fascinated by the creativity, powerful voices and showmanship of Sarah Letcher, Peter Janes, Andy Gallant, and Dale Letcher. Their sound has been enhanced by the addition of Glen MacIsaac and Brad Davidge on lead guitar and vocals. They bring together songs from the 50’s to the present and cover everything from musicals to maritime music. 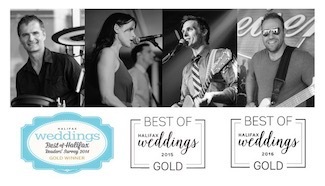 Voted best reception band for the past 3 years by The Coast, this group loves to have fun and it shows! Rising from the smaller pubs in Cape Breton, BITTERSWEET has grown into a 6 piece Halifax-based band known for its versatility and high-tempo shows. Featuring 6 vocalists and multi-instrument players, the crowd is guaranteed to be entertained! Styles of music range from fast-paced East coast favorites (Great Big Sea, Rankins) to classic rock (Eagles, Fleetwood Mac, Lynyrd Skynyrd) to country rock (Steve Earl, Johnny Reid, Johnny Cash). They can also throw in some shanties, celtic tunes, hard rock, French tunes and bluegrass. As well as a wide range of vocals, instruments include acoustic and lead guitars, bass, drums, banjo, mandolin, hand ercussion, harmonica and strum stick. Yvette, Gilles, Tara, Jean Marc and Julie all hail from Richmond County in Cape Breton and Jason was born in Clare on the French Shore. 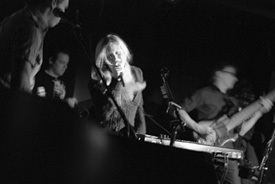 BITTERSWEET has been playing the local pubs and showrooms throughout our province for several years. This band has entertained crowds in other parts of Atlantic Canada, including New Brunswick and Prince Edward Island. Their music has also taken them from Ottawa to Vancouver. From a St. Patrick’s Day celebration in a small intimate Irish pub to a black tie event at a large convention center, they’ll provide a high-energy show everyone will remember! 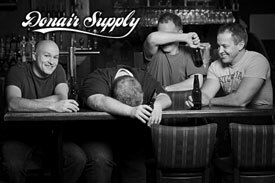 Veterans of the traditional/pop scene, Donair Supply have crafted a high energy performance with tight blended harmonies. These talented group of musicians come from a wide variety of music styles, creating a well rounded show for all types of audiences. Are you looking for someone to perform live music at your next corporate event, dinner, reception, special event, or perhaps at your wedding? He has performed in front of audiences and venues of all sizes. Would you like to learn more about John and his background? Click here to view his bio. 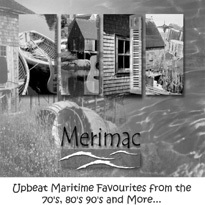 Merimac is a four piece group (or often five with fiddle) based in Halifax, NS playing Classic Rock, Maritime/Celtic, Pop, Country, Reggae, R&B, Funk, Latin, Folk & instrumental music. It's well-known, seasoned members, from a variety of influences are sure to please any crowd - Maritimes and beyond. Energetic and diverse music styles make way for an attention grabbing, foot stompin' time that keep its listeners with "fresh" ears. Check out Merimac's famous improv Jams that will take you on a musical journey while burning up your dancing shoes. You can't help but sing out loud and have fun with this infectious bunch. Merimac relies on a large tried and true set-list, experience from hundreds of shows and their raw musical talents. Musical Styles & Variety is the spice and Merimac makes use of its playing content from all genera from the 70's to the music of today. More than just "a band" their semantics, stage presence and interaction with the crowd transforms any night into a "serious party". Merimac can also perform a full Maritime based show available, invigorating all their songs with a traditional "Celtic Edge". 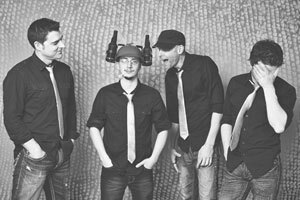 Satori is a Halifax based Party Band providing top tier entertainment across Canada. They specialize in current top40, and are constantly updating their song list to play all the hottest hits while they’re hot. 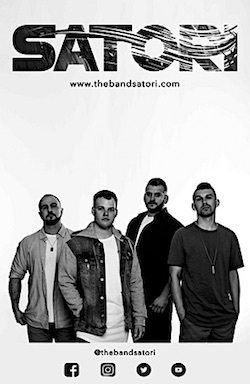 By far the most modern band in the Halifax scene, Satori play over 150 shows a year and bring a refreshing new energy and excitement to the stage. For a 4 piece band, they have a huge sound, including colorful 4-part vocal harmonies. Their shows are highly interactive and their set lists are proven to bring the party. Each member of Satori started their musical career early. Each one of the guys has been playing professionally for years before Satori was even established, and you won’t doubt this when you see them. Not only are you going to have a lot of fun, but you can be sure you’re going to get the highest quality in sound, lighting, and overall experience that is available on the scene today. The Maritimes have been struck with an intensely magnetic band...Shaydid. Based out of Halifax, NS, the talented and charismatic foursome come together with fierce chemistry, playing everyone's favorite rock tunes. With fervent energy on stage and their compelling sound, Shaydid has lured fans from all over the country. Crystal, Mark, Darrin and Kirk have their priorities in order: to be the best crowd pleasing, skilled musicians that they can be, to keep raising the bar and to have a great time doing it! Please visit Signal Hill at http://radio3.cbc.ca/play/band/Signal-Hill for original demos and selected tracks from our 5 CD's! 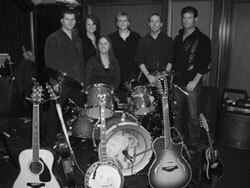 Signal Hill is a four-piece acoustic guitar based band with strong emphasis on four part vocal harmony. 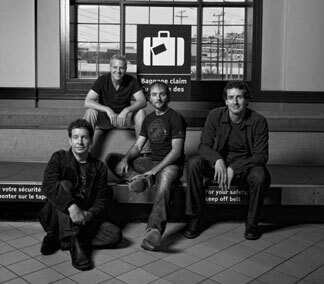 Hailing from Newfoundland, Canada, this band is revered throughout the country as the quintessential East Coast group. This has been achieved by expanding their repertoire beyond that of standard traditional songs to celebrating music across the decades and genres. Their arrangement are now woven into the fabric of East Canadian culture. They play 4 to 7 night per week all year round from St. John’s Newfoundland to Toronto Ontario. 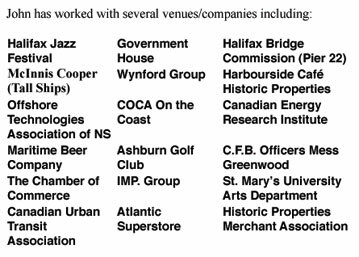 In addition to many other notable venues, Signal Hill has also been twice to Moscow Russia to play the Hard Rock Caf� and the Boarhouse Night Club. A current tour schedule can be found at www.signalhill.ca. Jason Campbell is the principal lead vocalist with a wide range spanning over three octaves. He is the songwriter and manager of Signal Hill. Jason also plays piano and 12-string guitar in the band. His singing style and song writing are unique while clearly influenced by Sam Cooke, Elton John and the beatles. Often playing piano and guitar simultaneously while singing, Jason is a born showman who owns every song he sings; original or cover. Jay Meadus is the bass player, secondary lead vocalist and a founding member of Signal Hill. His voice is deep and rich. Jay’s playing style is superb both visually and audibly; a true performer. He is incredibly musical and has been a pioneer of Signal Hill’s signature vocal arrangements. Jordie Weale is the newest addition to Signal Hill and a final piece in a puzzle that has prompted Signal Hill’s new global focus in 2007. 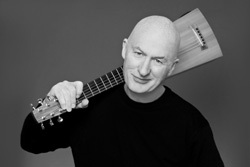 Jordie is a master of the acoustic guitar and the high harmony singer with the band. He is a perfectionist musically and a highly disciplined student of practice. Terry Chaplin is the drummer and bass player for Signal Hill. He also shares a portion of the lead vocals in a tenor range. Terry’s relative pitch is often mistakes for perfect. This allows him amazing ability to call the changes of any tune in the repertoire while playing drums. Terry is also proficient on every instrument in the band. of the year. As this electric outfit is famous for their ability to impress audiences with vigorous performances and a dynamic song list. Formed in 1989 they are still going strong and at the top of their game. The Persuaders define synergy. On stage, they transcend spectacular. Their energy is infectious. Each member brings something special to the mix. Front man, Maurice Aucoin has an exceptional voice that is both opulent and powerful. He is a top shelf entertainer, modest and magnificent who uses his agile and moving tone to win over his audience. Jon Matheson's slick combination of solid guitar playing and personality draws the audience to the stage. The rhythm section is made up of two powerhouse players, Brian Zinck on bass and Rob Francis on drums. Well known local veteran rocker, Brian plays with a smooth and articulate style that is the perfect compliment to Rob’s solid beat, that while dazzling with artistic stick work, is the supreme muscle of the operation and steeped in potent force. The Persuaders are indestructible. Their chemistry is undeniable, their energy unmatched. Their relationship with their audience is ardent and laced with charisma and influence. These are the boys that bring you the ‘backstage boogie in your hometown bar’ and continue to bring home the gold. Tony Quinn can be described as a renaissance entertainer. He is one of the very few who can accomplish all that he does - alone on stage. Tony has been in the entertainment business for over twenty years. His show is versatile and has been performed for a wide variety of audiences. From feature comedian at the National Radio Awards in Toronto to performing at the 33rd Annual Premiers Conference in Charlottetown, he easily adapts to the mood of the audience. He writes and performed numerous voice overs for television and radio, as well as industrial videos. � 2004- 2017 Talent Source Entertainment Coordinators Limited. All Rights Reserved.